After a serious disagreement with other missionaries, you have settled your differences. You have asked for, received, and granted forgiveness, but something still seems wrong. Although you do not sense any anger in the relationship, your friendship is not the same as it was before. Forgiveness literally means to "give up" or "give away." The dictionary defines it as "to give up resentment against" someone. That is a necessary first step in reconciliation-but much more is possible. Let us see what we can do, how we do it, and what are some possible results. Just before Easter Sunday we observe Maundy Thursday. Many people have no idea what "maundy" means. It comes from the Latin mande, meaning "mandate" or "command," from Jesus words in John 13:34. At that time he was talking with people he had poured his life into during their time of orientation and training. They had three years ministry experience in their passport culture, had some short-term home mission experience, and were about to enter cross-cultural ministry. They were people who had affirmed their devotion and vowed to die for him but would soon doubt, deny, and forsake him. His Maundy Thursday mandate (command) to them was "Love one another. As I have loved you, so you must love one another. By this all men will know that you are my disciples, if you love one another." Today, as then, people fulfilling the Great Commission (making disciples of all nations) must be recognized as his disciples. However, there would soon be dissention among Jesus' disciples that would necessitate forgiveness and reconciliation. Earlier in his ministry Jesus had told his disciples that while they were worshiping him in the sanctuary they might remember that a fellow Christian had something against them. If that happened, they were to leave their place of worship and, "First go and be reconciled to your brother; then come and offer your gift" (Matthew 5:24). Reconciliation should take place as soon as possible after we realize we need it. Of course, one must be careful not to attempt it immediately after the offense while emotions are still highly aroused and may interfere. Reconciliation literally means to "bring together again." The dictionary defines it as "to make friendly again or win over to a friendly attitude." Although forgiveness has occurred, friendship may not have yet been restored, and that is what is missing. Forgiveness may involve only one person, but reconciliation always takes two. Note that here we are talking about restoring a relationship between you and someone you know has something against you. We are not talking about the situation in Matthew 18 which involves you having something against another person. People are sometimes unsure of how to go about actually moving toward reconciliation. Fred DiBlasio has developed several steps he uses to help people through forgiveness and into reconciliation. After defining, considering scriptures on, and explaining forgiveness and reconciliation, he introduces the following steps. Then after reviewing the steps, he asks if the people want to go through them toward reconciliation. If so, they proceed. If not, they wait. The offender states and explains the offense. He or she clearly, specifically, and explicitly states the act for which he or she is seeking forgiveness and reconciliation. He or she then follows with an explanation of the reason behind the offensive behavior. Both parties ask questions and receive answers about what happened, and this information may begin to bring them together. The offended shares his or her emotional reaction (with the permission of the offender). This ventilating of feelings in detail often leads to the offender being more empathic. The offender then paraphrases what was said and proposes a plan. Expressing the feelings in other words usually leads to even greater empathy, and then he or she proposes a plan (including specific changes and means of accountability) that will eliminate the behavior. The offended then identifies with the offender. Realizing that he or she is not completely faultless, the offended may be able to identify with some of the guilt, loneliness, etc. that the offender has experienced since the act. Both persons must agree on what forgiveness and the first steps toward reconciliation mean. Granting forgiveness means that the offense can never again be used as a weapon--it is a letting go, but not necessarily forgetting. The one receiving forgiveness must remember that he or she has agreed to be accountable and not repeat the offense. The offender then makes a formal request for forgiveness and reconciliation for the action in question. This may include asking God as well and the formal recording of the date, time and place of the request. The offended then either grants, or refuses to grant, forgiveness and movement toward reconciliation. If granted, it is recorded with the request. If not granted, the process stops here, and may be resumed at a later time. This cycle is then repeated as often as necessary until all offensive actions have been discussed. It usually includes both parties taking turns being the offended and the offender. However, no one is allowed to pressure another person to ask forgiveness for perceived wrong behavior. Also remember that although forgiveness is final in this process, much emotion may remain and full reconciliation may take much more time. Although we may ask how to go about reconciliation, most of us already know how to do it. The problem is in actually getting up and doing it. We tend to be like the expert who asked Jesus what he had to do to inherit eternal life in Luke 10. Jesus asked him what the scripture said. The man answered correctly, and Jesus said, "Do this and you will live" (v. 10). Rather than doing it, the man wanted to justify himself and asked who his neighbor was. After the parable in which the two religious leaders passed by the needy person who was finally helped by someone from a despised culture, Jesus again asked the expert who was the real neighbor. When the expert answered correctly, Jesus again said, "Go and do likewise" (v. 37). Will everything be the same? Certainly not immediately, and perhaps never. Remember that this is just the beginning of reconciliation, and it may take months or years to complete. Trust takes a long time to develop. Just one wrong act may destroy it, and then it will take even longer to develop again. Sometimes it never fully develops after it has been destroyed. The following will help rebuild trust. Carry out every detail of the plan you have proposed to see that the offensive behavior will not be repeated. Be completely accountable as you have proposed. If you do engage in some wrong action, apologize immediately and sincerely. Always keep your word on other things. Be completely and consistently trustworthy in all dealings with others. Be openly and consistently cooperative. John Mark had deserted the first missionary team to take the gospel to other cultures. Although his uncle Barnabas wanted to take his nephew when the team went back for a second term, Paul had not yet reconciled with Mark and would not take Mark on his team. However, forgiveness and reconciliation came later as indicated by Paul saying, "Get Mark and bring him with you, because he is helpful to me in my ministry" (2 Timothy 4:11). What if the person refuses? Sometimes the person refuses, as was the case with Samuel and Saul in 1 Samuel 15. Although Saul's repentance ("I have sinned….Now I beg you, forgive my sin.…" vs. 24-25) sounds sincere, it came only after two denials in which he blamed the soldiers (vs. 13-15; 20-21). After that incident, Samuel never went to see Saul again (v. 35). Some offenses are so serious, and some requests for forgiveness are so insincere, that the process stops and never begins again. Whether the process continues depends on such things as the seriousness and duration of the offense. For example, it is much easier to reconcile after an argument over forgetting your spouse at the store than it is over adultery. Likewise it is easier (though still very difficult) to forgive your spouse over a single act of adultery on impulse than over a long affair with "a friend." Sometimes the process ends because the other person simply refuses. Such a refusal may be temporary, or it may be permanent. All that God asks of you is that you sincerely repent, enlist the aid of a mediator, and try everything you know to do. Reconciliation takes two people, and the other person may continue to refuse. Paul, that early missionary, put it so well in the last half of Romans 12. He said, "Be devoted to one another (v. 10)…. Live in harmony with one another (v. 16)…. If it is possible, as far as it depends on you, live at peace with everyone" (v. 18). The ideal is to be reconciled to everyone, but sometimes you have done everything you can do and it still does not happen. God does not hold you responsible for someone else's refusal to proceed. 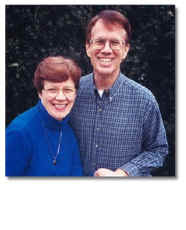 Ron and Bonnie Koteskey are Member Care Consultants with Go International. They have provided member care for missionaries since 1997.